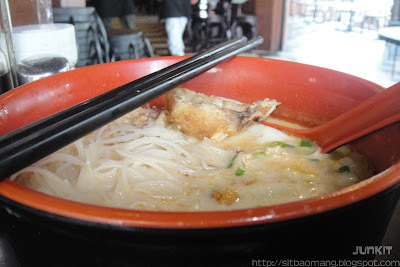 One of the arguably good food that can be found in Kuchai Lama would be the famous Win Soon Cafe's Fish Head Noodles. The shop here in Kuchai Lama has made up it's reputation and got fame from TV shows like Ho-Chak! I felt Win Soon serves one of the best, if not the best fish head noodles around here. 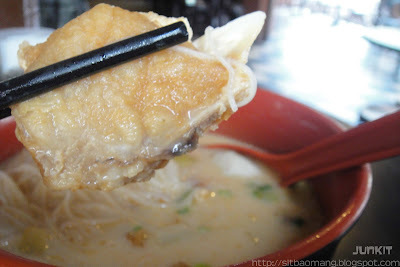 Like any soup based noodles, the Fish Head Noodles (RM7.50) has very sweet soup. Added with some carnation milk, the dish is turned into a thick and rich based soup with just enough mixture of (minimal)sourness and saltiness with the additions of tomatoes and preserved salted vegetables. The soup is also dosed with huge amount of Chinese cooking wine, in fact I think the version here at Win Soon's wins in terms of smell alone due to the wine. The fish here is also worth mentioning; whereby around roughly 5 pieces are given. I even spotted quite a lot of patrons ordering just the fried fish head alone. What makes the fried fish head here stands out from the others is their ability to marinate and coat the fish in a way that the fish outside remains crispy, yet the flesh being so tender. Often, what you get from normal stalls are just simply deep fried fishes, where the flesh tends to get dry and tough. You can also opt for fish paste, which I recommend too. I always go for the fish head and fish paste combination. The drinks here are however very disappointing. They all felt very 'fake' to me, like from some mixture or syrup. It's just me anyway as I felt they were too sweet. 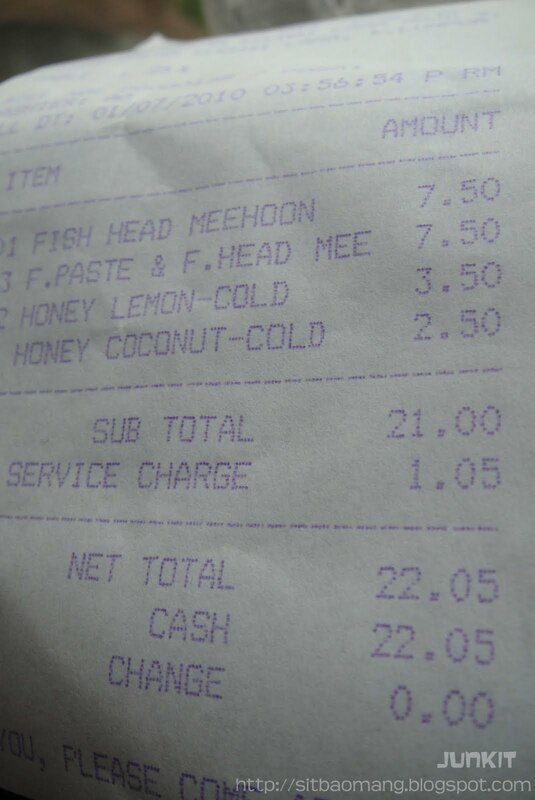 Seen here is the Honey Coconut (RM3.50) and the Honey Lemon (RM2.50). Win Soon is located at the corner of Jalan Kuchai Lama Maju 9, located just a few shops away from Jojo Little Kitchen. Easily spotted with the red colour themed restaurant exterior. 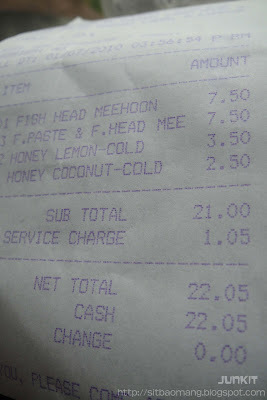 A meal for both of us cost us around RM 22.05. Pretty ok considering the big bowl of noodles. 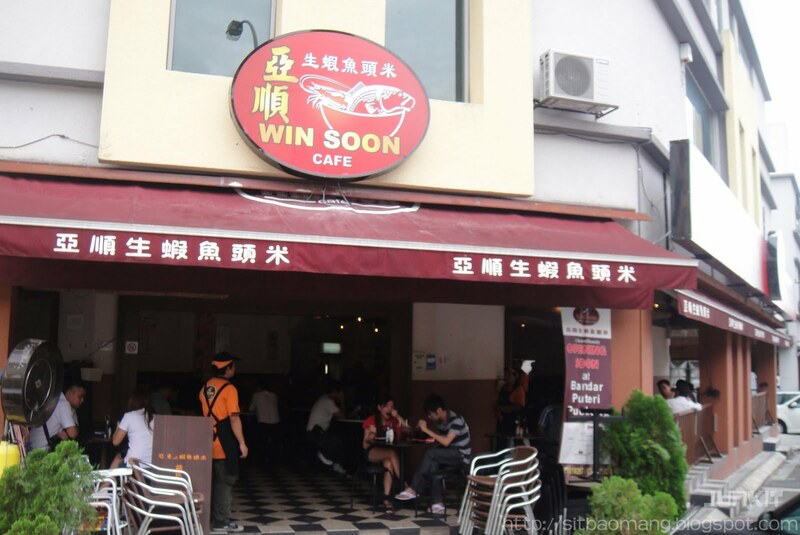 I also spotted Win Soon's branch in Puchong; and I've heard that they are currently expanding. Also, Win Soon's brother's branch is located in Happy Garden's Wai Sik Kai (name of shop forgotten), but it's in a coffee shop located at the end of that one way street. 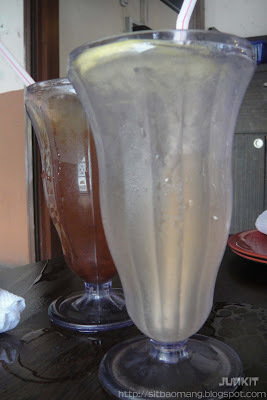 They serve the same style and the taste is pretty much similar too! Address : No. 46, Jalan Kuchai Lama Maju 9, Off Jalan Kuchai Lama, Kuala Lumpur.